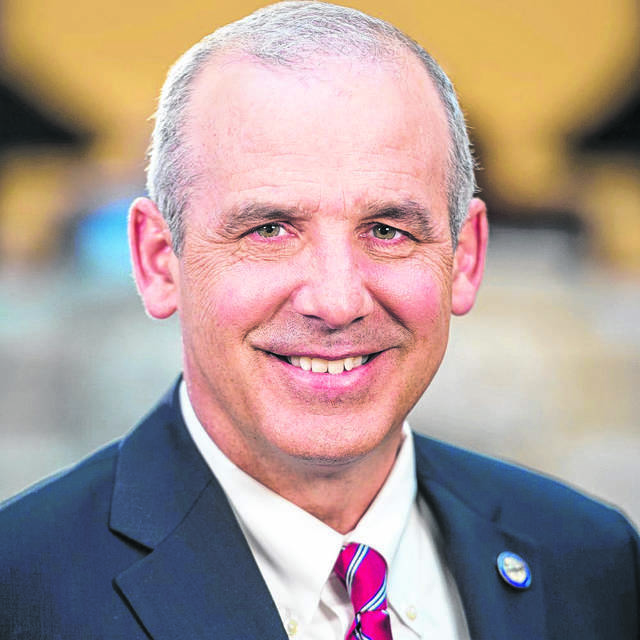 COLUMBUS — State Sen. Matt Huffman was unanimously elected Wednesday to serve as the Senate Majority Floor Leader for the 133rd General Assembly. “I am grateful for the additional faith my colleagues have placed in me to help serve the interests of their communities and neighbors across the state as a member of the Senate leadership team,” the Republican from Lima said. As Majority Floor Leader, Huffman will be responsible for the development and implementation of the agenda for the majority party. Other members of leadership include Sen. Larry Obhof, R-Medina, serving his second term as President of the Ohio Senate, Sen. Bob Peterson, R-Washington Court House, as President Pro Tempore. Sen. Jay Hottinger, R-Newark, was selected as Majority Whip. “Matt has been a strong addition to our leadership team, and I welcome his continued service in his new role as Majority Floor Leader,” said Obhof.